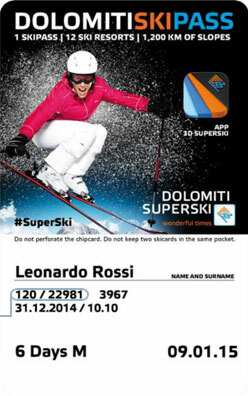 I declare and explicitly express my consent that the Consortia Dolomiti Superski may disclose my personal data to ALTUROS, regarding the use and the access to the lift facilities, skied kilometers of ski slopes and height meters, by means of the ski pass whose number I have indicated in this section. These data may be stored by ALTUROS until further cancellation request and used in the context of the services specified on the website www.skiline.cc. Any further use requires the express consent of the person concerned. The removal of the user profile on www.skiline.cc is considered as revocation in accordance with the requirements of this paragraph.